On January 8, 2018, the United States Fifth Circuit Court of Appeals issued an en banc decision “to adopt a simpler, more straightforward test” to determine “whether a contract for performance of specialty services to facilitate the drilling or production of oil or gas on navigable waters is maritime.” The ramifications of In re Larry Doiron, Inc., 879 F.3d 568 (5th Cir. 2018) (Davis, J.) (en banc) are evident in the opinion itself: determining whether a contract is maritime in nature is important in determining whether indemnity provisions, which are included in almost all service contracts, are enforceable. The new test “will allow all parties to the contract to more accurately allocate risks and determine their insurance needs more reliably.” In re Larry Doiron, Inc., 869 F.3d 338 (5th Cir. 2017) (Davis, J. concurring) (panel opinion). The decision, therefore, should be welcomed by all involved in the industry. Parties to such contracts, their attorneys, and even their insurers can now (hopefully) better predict whether a court will classify a contract as maritime or not. In In re Larry Doiron, Inc., Apache Corporation (“Apache”) entered into a blanket master services contract (“Contract”) with Specialty Rental Tools & Supply, L.L.P. (“Specialty Rental”) in October 2005. The Contract contains an indemnification provision that requires Specialty Rental to defend and indemnify Apache and its contractors against all claims for property damage or bodily injury. Almost six years later, Apache issued an oral work order under the Contract directing Specialty Rental to perform “flow-back” services on a gas well in navigable waters near Morgan City, Louisiana. Notably, the work order did not require or anticipate a vessel because the gas well was only accessible by a stationary production platform. Specialty Rental dispatched a two-man crew to handle the job. After an unsuccessful one-day attempt, the crew determined heavy equipment was needed to complete the job and that a crane would have to lift the equipment into place. Due to the size of the platform, Apache contracted with Larry Doiron, Inc. (“Larry Doiron”) to provide a barge, the “POGO”, equipped with a crane to lift the heavy equipment. During this process, Larry Doiron’s crane operator struck and injured Specialty Rental’s crewmember Peter Savoie (“Savoie”). The lawsuit originated in the U.S. District Court for the Western District of Louisiana, where the parties filed cross motions for summary judgment on whether Specialty Rental owed indemnity to Larry Doiron as Apache’s contractor. The core issue before the court was whether the Contract was a “maritime contract” such that general maritime law would apply and the indemnity provision would be enforceable. If not, Louisiana law controlled, and the Louisiana Oilfield Indemnity Act (“LOIA”) precluded indemnity. The district court concluded the Contract was a “maritime contract” based on Davis & Sons, Inc. v. Gulf Oil Corp., 919 F.2d 313 (5th Cir. 1990) [I] and, therefore, granted Larry Doiron the benefit of indemnity protection under the Contract. The Fifth Circuit affirmed, reluctantly, and explained its “holding [was] confined to the facts before [it].” In re Larry Doiron, 869 F.3d at 347. Judge W. Eugene Davis concurred separately (joined by Judge Southwick, author of the panel’s decision) “to urge the court to take this case en banc and simplify the test for determining whether a contract is a maritime contract.” Id. (Davis, J., concurring). An en banc hearing was granted, and the Fifth Circuit en banc issued a unanimous opinion reversing the panel and the district court. Writing for the Court, Judge Davis held that the Contract was not a maritime contract and, therefore, the indemnity provision in favor of Apache and its contractors (including Larry Doiron) was invalid under the LOIA. Judge Davis provided an in-depth analysis on why the Davis & Sons test needed refining, and he noted the United States Supreme Court’s opinion in Norfolk Southern Railway Co. v. Kirby, 543 U.S. 14, 125 S. Ct. 385, 160 L. Ed. 2d 283 (2004), clarified that determining whether a contract is maritime “‘depends upon…the nature and character of the contract,’ and the true criterion is whether [the contract] has ‘reference to maritime service or maritime transactions.’” The Supreme Court instructed courts (and practitioners) to use contract rather than tort principles in determining whether a contract is maritime. First, is the contract one to provide services to facilitate the drilling or production of oil and gas on navigable waters? … Second, if the answer to the above question is “yes,” does the contract provide or do the parties expect that a vessel will play a substantial role in the completion of the contract? If so, the contract is maritime in nature. In re Larry Doiron, 879 F.3d at 576. This new test focuses on the contract and the expectations of the parties to “assist the parties in evaluating their risks, particularly their liability under indemnification clauses in the contract.” Id. at 577. Applying the new test to the facts before it, the Fifth Circuit found the oral work order called for Specialty Rental to perform downhole work on a gas well with access only from a platform. It was only after the Specialty Rental crew encountered an unexpected problem in completing its work that the POGO and its crane to lift the equipment was needed. The Court reasoned that the vessel was an insubstantial part of the job and not work the parties expected to be performed. The Contract was therefore not maritime and controlled by Louisiana law, meaning the LOIA barred the Contract’s indemnity provision as against public policy. The Court reversed summary judgment for Larry Doiron and rendered judgment for Specialty Rental. Larry Doiron was not entitled to indemnity from Specialty Rental despite the Contract’s indemnity and choice-of-law provisions. This reversal exemplifies the importance and practical effects of the Fifth Circuit’s decision. In re Larry Doiron, Inc. refined and simplified the Fifth Circuit’s test to determine whether an oil and gas contract is maritime. In doing so, the court focused on the contract itself and the expectations of the parties. Because neither were of particularly “salty” flavor [II], the Contract’s indemnity provisions were unenforceable under Louisiana law even though the provisions would have been enforceable if maritime law applied. Although it remains to be seen how district courts will implement the decision, all oil and gas contracts in Louisiana, Texas, and Mississippi should be examined, given this important precedent. Questions such as what is meant by “drilling or production of oil and gas on navigable waters” remain, but parties to oil and gas contracts in the Fifth Circuit should breathe easier knowing this simplified test is more predictable; meaning those parties should be more able to assess their risks. 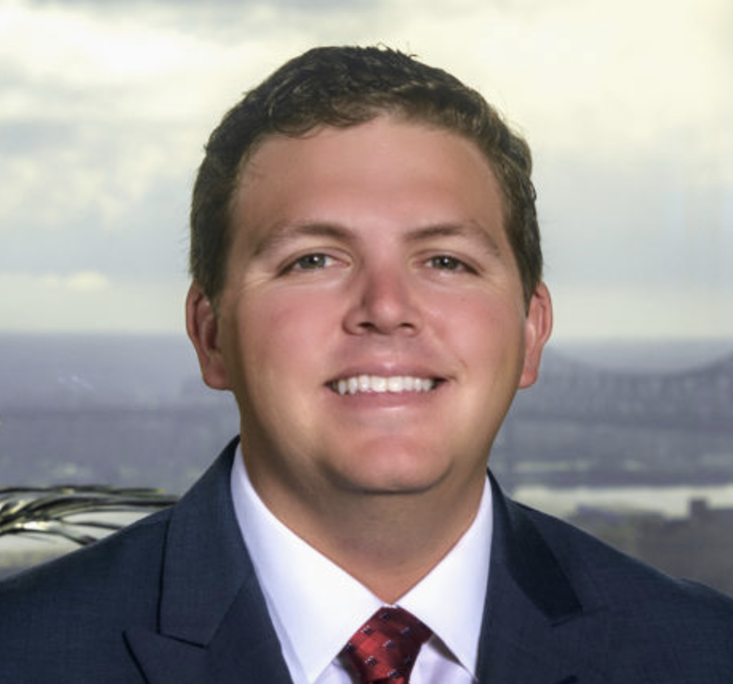 Andrew J. Brien, an associate in the firm's New Orleans office. 1) what does the specific work order in effect at the time of injury provide? 2) what work did the crew assigned under the work order actually do? 3) was the crew assigned to work aboard a vessel in navigable waters; 4) to what extent did the work being done relate to the mission of that vessel? 5) what was the principal work of the injured worker? and 6) what work was the injured worker actually doing at the time of the injury? Davis & Sons, 919 F.2d at 316. Prior to its en banc opinion in In re Larry Doiron, Inc., the Fifth Circuit followed Davis & Sons’ multi-factor test to determine whether a contract is maritime since 1990. [II] In re Larry Doiron, 879 F.3d at 577 (“Courts need not determine whether this service work has a more or less salty flavor than other service work when neither type is inherently salty.”).